Getting the right people in your business is essential. Recruiting the wrong people can cost you thousands of pounds!!! ………… How much will it cost you in terms of time, money & stress? The Interviewers Toolkit contains a number of guides, templates and frameworks for hiring managers to use when recruiting new talent for their business. No matter how big or small your business, having the right people around you with the right skills, experience and values is essential for your business success. 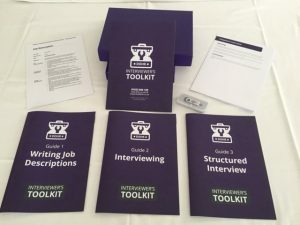 Whether you are an experienced recruiter or hiring for the first time, the interviewers toolkit is an invaluable source of information to help you make the right decisions first time.